Fri May 10, 2019 at 9:00 a.m. This course will satisfy STCW renewal requirements for a mariner who is actively serving on seagoing ships and has completed at least 360 days of seagoing service within the past five years. Any applicant who has successfully completed our Advanced Fire Fighting Revalidation course will satisfy the requirements of STCW Code Section A-VI/3 and 46 CFR 11.201(h)(1), and 11.303(d), provided that the mariner has at least 1 year of sea service within the last 5 years; AND Tasks 1.3.A, 1.5.A, 2.1.A, 2.1.B, 3.1.A, 3.1.B, 4.1.A,4.1.B, AND 4.1.C from NVIC 09.14, Advanced Firefighting. 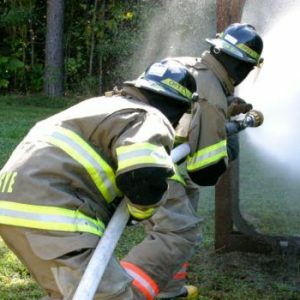 For more information, visit the Advanced Firefighting Overview.